Minneapolis, MN and New York, NY -- TigerLion Works, a Minneapolis-based theatre ensemble, will perform The Buddha Prince in Minneapolis September 9 through 13 in Minnehaha Park and then will tour to New York City where the play will be performed in Central Park September 23, 24, 30 and October 1st, concurrent with the Dalai Lama’s visit to New York. The Buddha Prince is an outdoor “walking play”, which takes the audience on a journey through nature as the scenes unfold around them. A play for audiences of all ages, The Buddha Prince celebrates the extraordinary life and teachings of His Holiness the 14th Dalai Lama, and is narrated with excerpts from the Dalai Lama’s own teachings and autobiographies. The play covers the Dalai Lama’s early life in a free Tibet to his escape into exile in India. Portrayed by a diverse group of 19 performers, the story is told with a cultural mix of physical theatre and Lecoq-based choreography complemented with live music, dance, mask, puppetry and clown. The Buddha Prince is free to the public, with a suggested donation. Net proceeds will go Tibetan relief organizations in each city, including Tibetan Education Action in Minneapolis and The Tibet Fund in New York City. 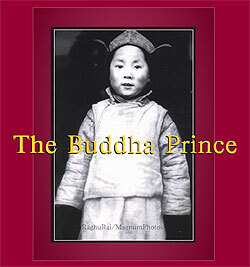 The Buddha Prince was created by Minnesota native Markell Kiefer (Writer/Director/Executive Producer-TigerLion Works). Raised as a Tibetan Buddhist in the Shambhala Community, Markell received her Bachelor of Arts in Religion and Environmental Ethics from Middlebury College and a Master of Fine Arts in Lecoq-based physical theater from Naropa University. After two years with Circle in the Square Theatre School in NYC, she went on to tour and perform with theater companies throughout the U.S., including the Children’s Theatre Company in Minneapolis. by Markell and a team of collaborators, including Co-Producer/Choreographer Tyson Lien (TigerLion Works), Music Director Nina Rolle, and Writers Michael French, Carlyle Coash and Waylon Lewis. Now, The Buddha Prince is in its final phase of development with Tibetan Music Composer/Choreographer/Performer, Tenzin Ngawang, head teacher at the Tibetan American Foundation of Minnesota (TAFM), and New York-based Tibetan Music Composer and filmmaker Ngawang Choephel, both of whom trained at the Tibetan Institute of Performing Arts (TIPA), founded by the Dalai Lama in Dharamasala, India. The Buddha Prince is above all, a celebration of human goodness and an aspiration for world peace. Contact Alice Larsson at larssoncreative@msn.com or call 651-224-1673. Production pics and headshots of cast are available in electronic format. can also be found on our website.